Women's Sgt. 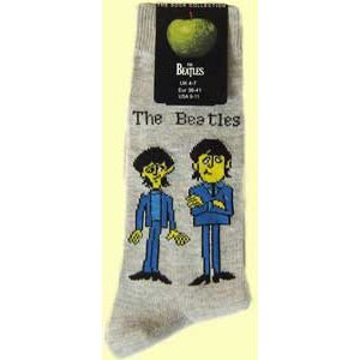 Pepper's Socks Sgt Pepper Grey Womens UK -Size 4-7 Official Beatles merchandise. Made from 80% Cotton. 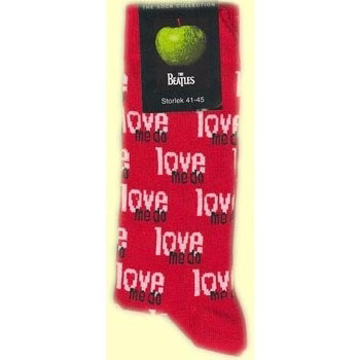 All You Need Is Love Black Men's Socks UK Size 7-11 (Euro Size approx 41-45). Official Beatles merchandise. Made from 80% Cotton. 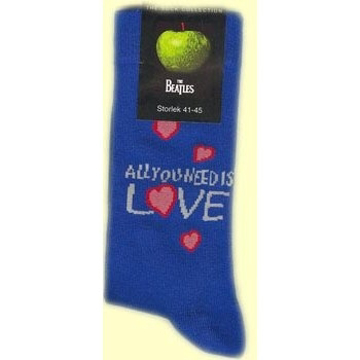 All You Need Is Love Blue Men's Socks UK Size 7-11 (Euro Size approx 41-45). Official Beatles merchandise. Made from 80% Cotton. Cartoon Group Cream Men's Socks UK Size 7-11 (Euro Size approx 41-45). Official Beatles merchandise. Made from 80% Cotton. Cartoon Group Grey Men's Socks UK Size 7-11 (Euro Size approx 41-45). Official Beatles merchandise. Made from 80% Cotton. 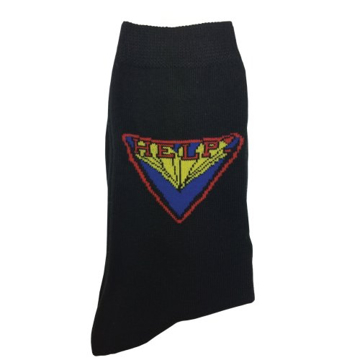 Cartoon Standing Cream Men's Socks UK Size 7-11 (Euro Size approx 41-45). 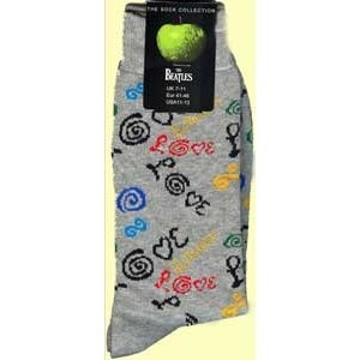 Official Beatles merchandise. Made from 80% Cotton. Cartoon Standing Grey Men's Socks UK Size 7-11 (Euro Size approx 41-45). Official Beatles merchandise. Made from 80% Cotton. 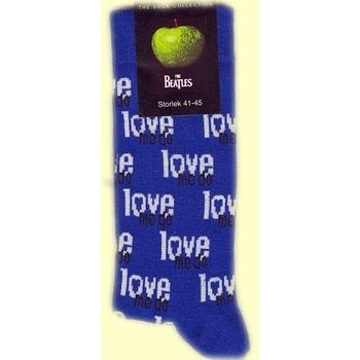 Love Dark Blue Men's Socks UK Size 7-11 (Euro Size approx 41-45). Official Beatles merchandise. Made from 80% Cotton. 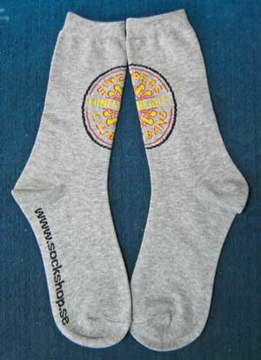 Love Grey Men's Socks UK Size 7-11 (Euro Size approx 41-45). Official Beatles merchandise. Made from 80% Cotton. 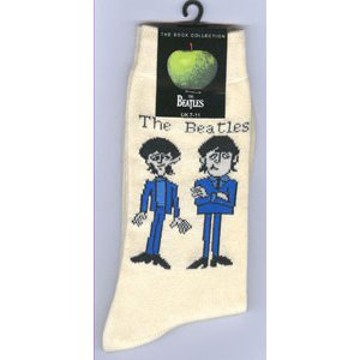 Love Me Do Blue Men's Socks UK Size 7-11 (Euro Size approx 41-45). Official Beatles merchandise. Made from 80% Cotton. 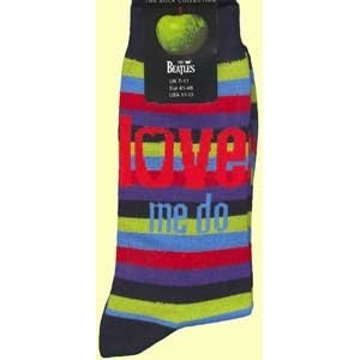 Love Me Do Multi Men's Socks UK Size 7-11 (Euro Size approx 41-45). Official Beatles merchandise. Made from 80% Cotton. 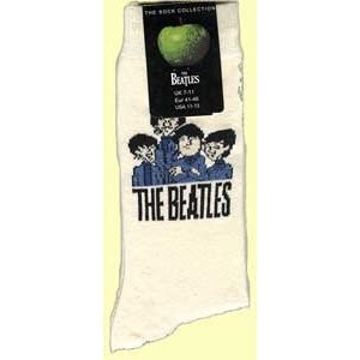 Sgt Pepper Grey Men's Socks UK Size 7-11 (Euro Size approx 41-45). Official Beatles merchandise. Made from 80% Cotton. 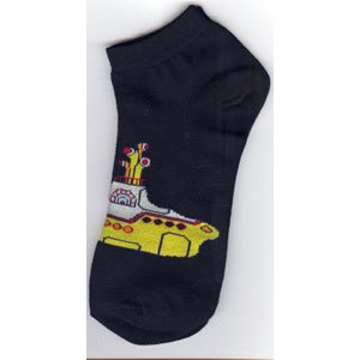 Yellow Submarine Black Men's Low Cut Socks UK Size 7-11 (Euro Size approx 41-45). 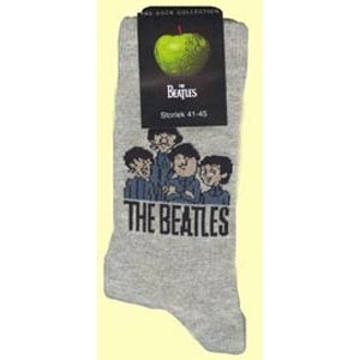 Official Beatles merchandise. Made from 80% Cotton.